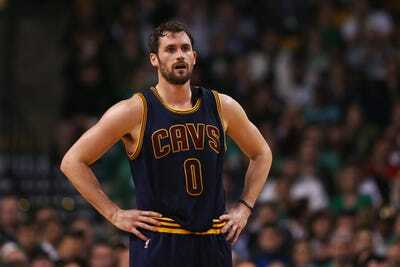 Kevin Love has been ruled out of Game 3 of the NBA Finals, ESPN reports. Love left Game 2 midway through the first half after taking an elbow to the side of the head from Harrison Barnes. He entered the league’s concussion protocol, and was cleared to fly back to Cleveland with his team. ESPN’s Marc Stein reports that Love has lobbied hard to suit up in a virtual must-win for Cleveland, but he will not be cleared. The earliest he is expected to return is Friday, for Game 4.